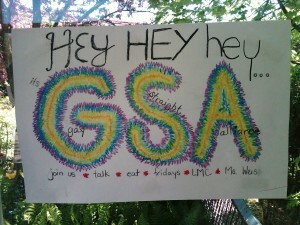 Would you like to start a Gay-Straight Alliance (GSA) at your school, but you’re not sure where to begin? This resource will walk you through the steps to get one going, and includes some tips on what to do if your school says “no.” Read this resource here. Gay-Straight Alliances can serve a lot of different purposes. This activity is designed to help students and GSA advisors think about what “kind” of GSA they would like to have. Are we a social group? An activist group? Can we be both? Download this activity here. We all have big ideas and plans for our GSAs, but sometimes it takes money to make those big ideas come to life. 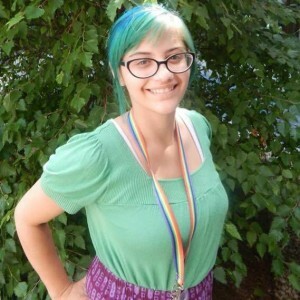 This resource lists ten possible strategies your GSA can use to raise money for your club. Download this resource here. Running a GSA is no small feat. There is a lot of time and energy that goes into it, and you want your GSA meetings to feel successful. Here are some tips for running a more effective GSA meeting. At a recent GSA conference, we asked students to create a list of common GSA challenges and then work collectively to brainstorm possible solutions to each of those challenges. Click here to read what they came up with and download the resource. Does your GSA have group agreements? No? It should! Group agreements help establish expectations around how meetings are run and members conduct themselves. Click here to read some sample group agreements that we like. A mission statement is a short description of an organization’s purpose. It can help you define who you are to other people and keep you focused on your goals. Click here to read some sample mission statements we created. The staff at GSAFE has put together a list of terms related to gender identity and sexual orientation for youth to utilize when organizing their GSA and educating their peers and schools about the preferred terminology within the LGBTQ+ community. Click here to view the list of LGBTQ+ terms and click here to view the list of terms specific to transgender identities. Click here to check out our new page of resources created specifically for GSAs at the middle school level.